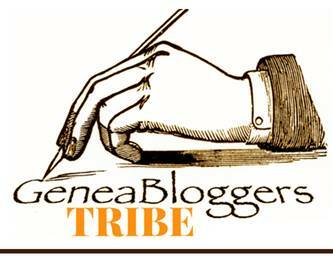 Terry Thornton, who is a fellow genea-bloggers has asked us to participate in his blogger-carnival, "A Getting to Know You Challenge for Bloggers". It took a long time for me to review my blog posts and come up with posts that fit this topic. My goals are to take photographs of the gravestones of my direct line ancestors whenever possible and to take additional family members when I can. I have authored an article in print for teachers and librarians titled, "Gravestone Reflections" to blend gravestone photography and research to teach students about respect, family, community and memorials. I am speaking on the topic of "Digital Storytelling" in April at NERGC. This topic is the subject of a book in progress to be published by ISTE. That book will be my tenth. The most beautiful of my work revolves around the finding of an article about two cousins, who like curious little boys sometimes behave, went out onto the ice one day and drowned. Their bodies were never recovered. There is a lovely memorial stone for them and I was lucky to find an article in a newspaper about their drowning. I have recently found the grave of one of their mothers and it looks like she died not long after that. My grandmother told me that the worst thing that can happen to you is to have your child die before you. At least these young boys will be remembered in a beautiful way. My work at this section of the cemetery is a beautiful labor of love. Writing for the Web is not yet as well respected as writing in print. Blog entries, mean to be journal entries, are not as long lasting as paper. Most people know me by my teaching and my published books. However, the generations to come will turn away from print and to the Web for information and I strive to write and record people's lives and to help other begin to find their family gravestones in this, the 21 century. Midge - I've recently started visiting your blog. I enjoyed reading your submissions for this round up & will continue to come back to read about your findings and see the gravestones you post. Thanks for sharing!